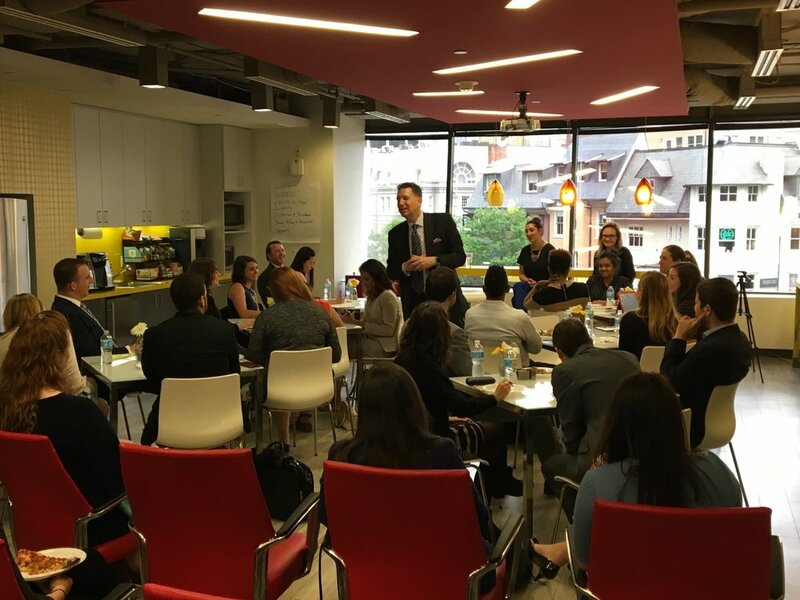 On June 7, Government Affairs Industry Network (GAIN) participants met at LEVICK to hear Keegan Bales, Madison Case, and Richard Levick himself discuss best practices in the Public Affairs Communication world. In a time where news moves fast, there is endless competition for time. LEVICK provided tips on how to get and keep people’s attention. While organizations need to understand how news travels outside the traditional media, like on Twitter, Richard Levick suggested going old-school to get the response you need: don’t just send an email, pick up the phone and call. However, before you do, practice what you will say, write down your key points, and draft what voicemail you would leave. That way you won’t flounder and waste time, and you won’t forget any key information. Clarity and brevity are key. People dislike making decisions, so lay out your bottom line right away, and then follow that with the context of the project. After opening suggestions, the panel took questions on how to craft a great press release, how to effectively publish a letter to the editor, and how to set clear expectation for clients. GAIN would like to thank LEVICK for hosting and providing this great panel. Be sure to join GAIN on June 29 for our next discussion, Hot Topics in Public Policy: Energy, Transportation & Infrastructure Policy in the 115th Congress.